(Issue 80) We don't send spam. We won't give out your email address. 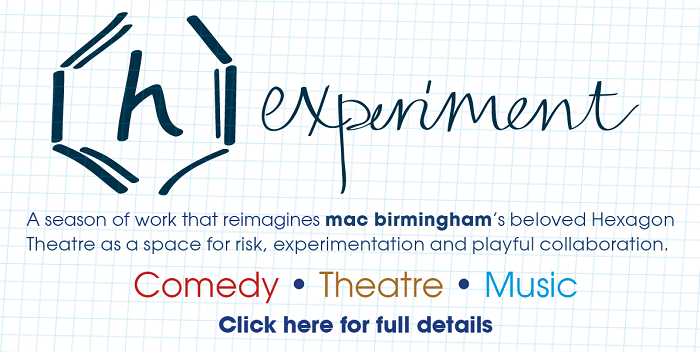 From Alphabetti Spaghetti to the sonorous sounds of Franz Kafka, staying on top of Brum's art scene is becoming a reassuringly challenging task. 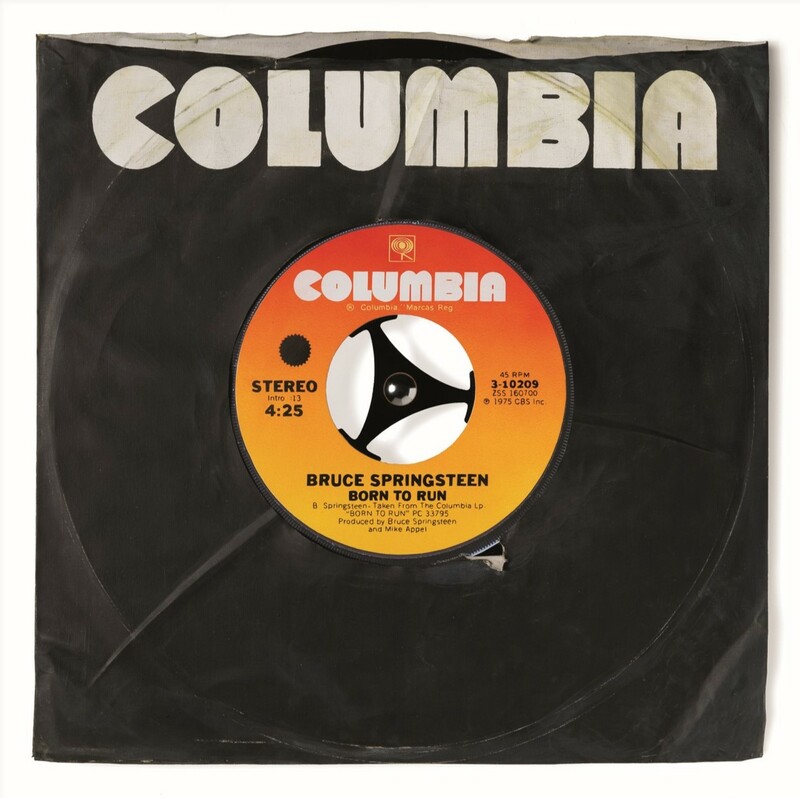 So we've been taking a look at the most eye-popping openings and potential purchases to grace Birmingham's galleries this summer. And we use the term "summer" by reference to its rather predictable position between spring and autumn rather than to any connotations it may hold with weather trends. What do you get if you cross a William Morris and an Andy Warhol? While we are confident there's a quick quip begging to be penned, the answer we're going with is Birmingham Museum and Art Gallery's latest exhibition. 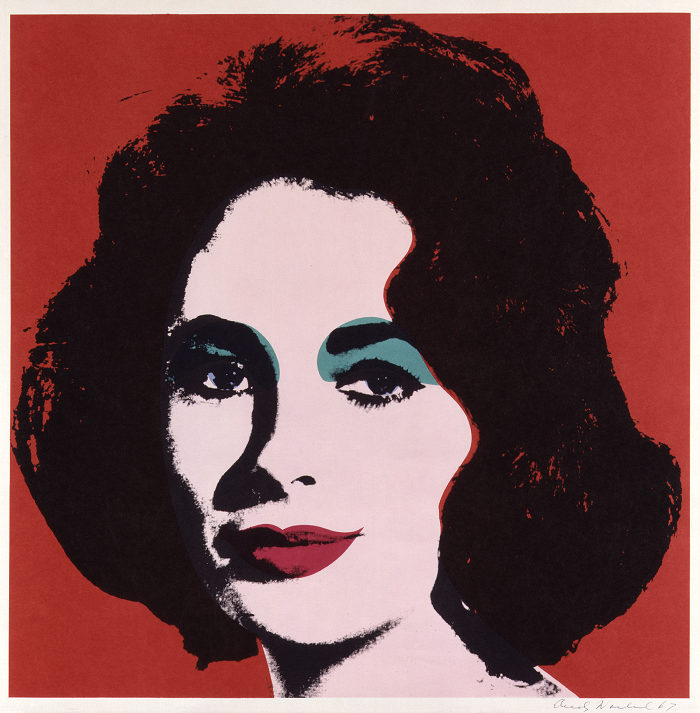 Love is Enough sees iconic Warhol portraits, such as his 1967 offset lithograph of Elizabeth Taylor (pictured above) next to mammoth, vivid tapestries designed and created by Brum's Morris & Co between 1898 and 1899. Depicting scenes of the quest for the Holy Grail, the first of the series of six panels (shown at the top of the email) reveals the Knights of the Round Table being summoned to the Quest. The exhibition is on now and runs until September. Entry is £7. More here. 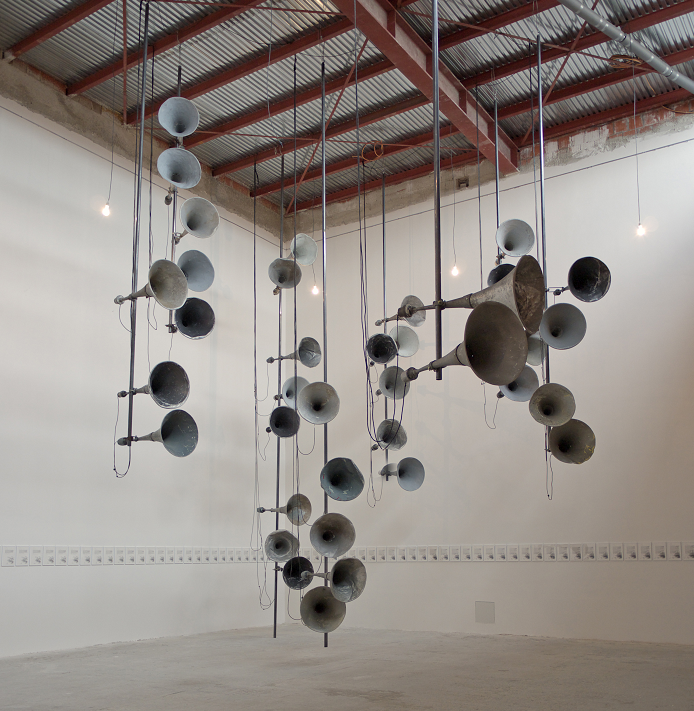 Welcome to the smart, sceptical world of Czech-born Pavel Büchler, who is taking over the entire gallery at Ikon, for his new mixed media exhibition, (Honest) Work. From May 13, expect plenty of wordplay and audio, through works such as The Castle (pictured above). Care of a pretty natty range of 1920s inspired antique speakers, ponder Kafka's doom-ladened isolationist quotation from his book The Castle (see what Büchler did there?). And just remember that despite Kafka's damning proclamation that "you aren't anything", you guys really do mean the world to us. 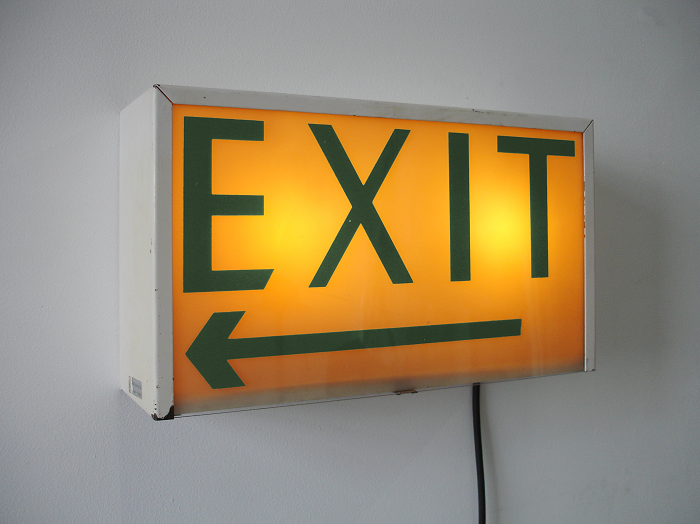 The exhibition also features Fly (pictured above), an illuminated fire exit sign which includes the all too familiar sound of a fly, buzzing around, plotting its escape. But in this work you have zero chance of beating the incessant noise unless you switch the plug off, which we strongly recommend you refrain from doing. (Honest) Work is showing until July 12 and entry is free. Though, given that on May 14 - the very night after this exhibition opens - the good folk across Brum's art world are putting on late night openings and transportation between seven galleries in the form of the Art Bus, we won't be waiting that long. At a cool £9,600 we'll be in the market for admiring rather than buying this giant, hand-painted canvas sleeve by Morgan Howell, which received a good kicking from the artist in order to achieve its perfectly scuffed look. 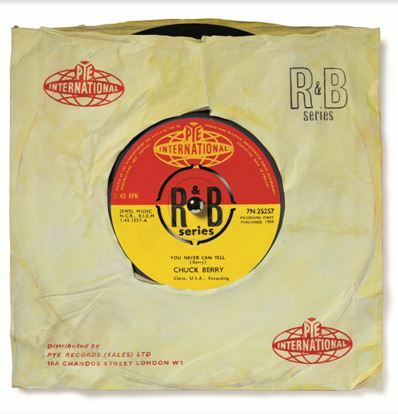 Together with a mightily impressive collection which includes records by Bruce Springsteen and Chuck Berry, the vinyl pictured (and there is actually a giant vinyl LP in there) has recently made the journey from the walls of Radio Two's green room to Reuben Colley Fine Art. 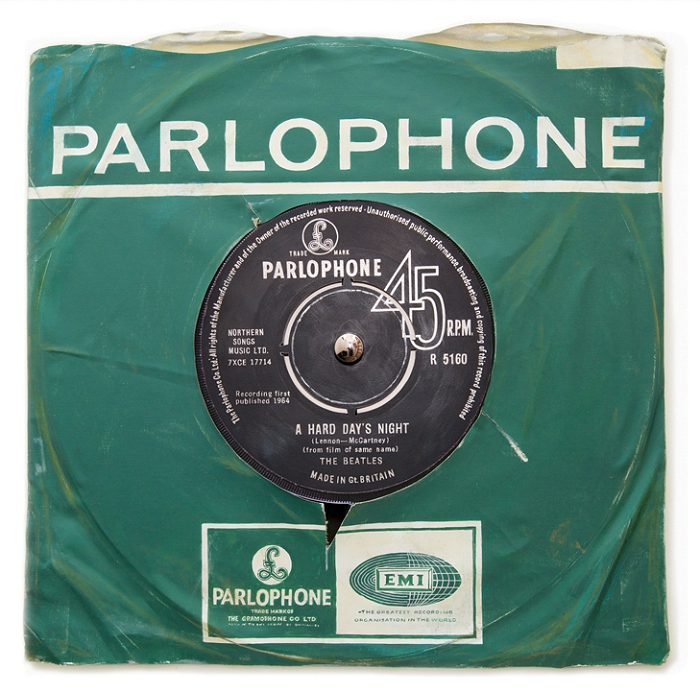 Life-sized reproductions, which are limited to editions of nine, are also available for £2,000 but it's the smaller copies (at £595) that have us rearranging wallspace and considering marriage (not only for the gift list). 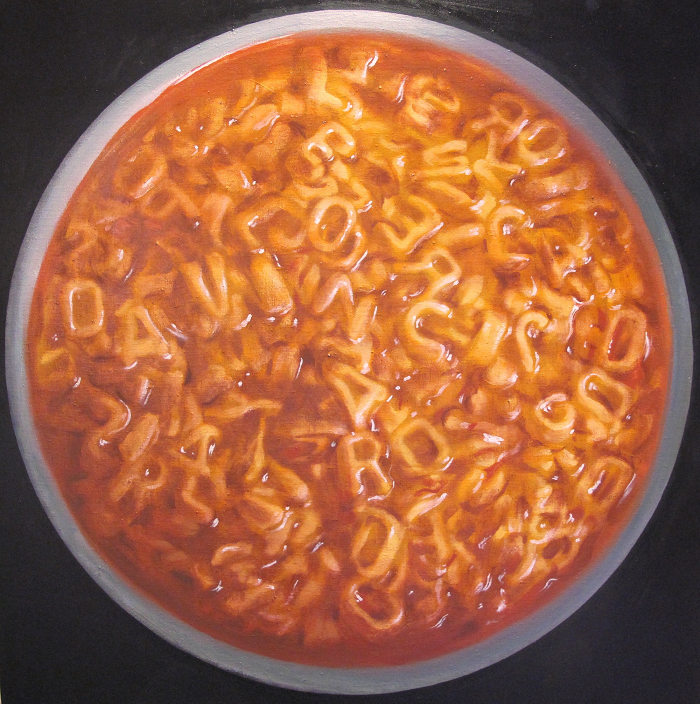 Also for sale - and for your viewing pleasure - still life has been given the Alphabetti Spaghetti treatment by realist painter, Cameron Galt, who carefully arranges the individual letters in the bowls of pasta he paints. RCFA currently has a series of Galt's work, entitled Three Sacred Tondos (costing £4,950 each). But what does the piece pictured spell out? Well we're going to go ahead and give you one gargantuan clue. The painting is titled Leonardo. Got it? Thought so. Two more to work out, here. Tonight (April 30), and for only three hours (6pm to 9pm), the artist that everyone keeps calling the "Banksy of Brighton" - probably to his unending annoyance - is exhibiting Pills, at Digbeth's 112 Space. 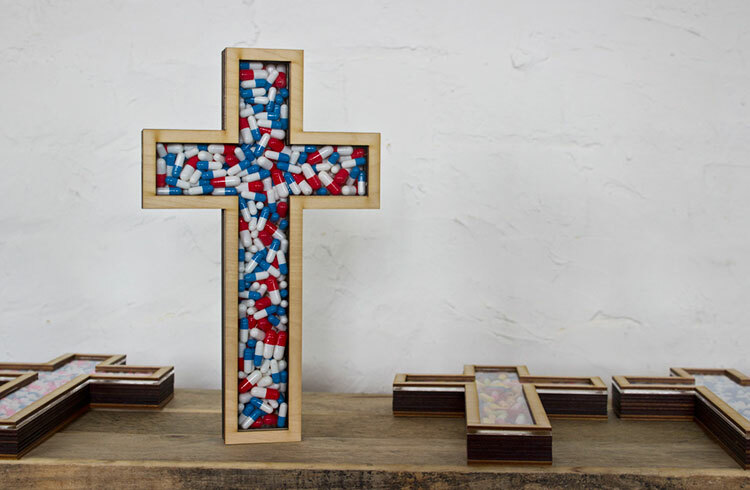 Imbue - who actually moved from the south coast to Birmingham 18 months ago - has filled 30 crucifixes with capsule pills in his latest work which continues his fascination with religion. A type one diabetic, the artist owes his life to medical science and here he jams these two, often opposing worlds, together in a thought-provoking work. Go see it. Maybe get happy. Maybe get mad. Maybe get even. We have no idea what we mean by that. We're at risk of being beaten with bread sticks when we say this, but we reckon the best permanent pizzeria in Brum is Rossopomodoro, in the bowels of Selfridges. And as the sun threatens to warm us once more we really don't want to be dining in, statistically, the single furthest place from a window in the entire city. 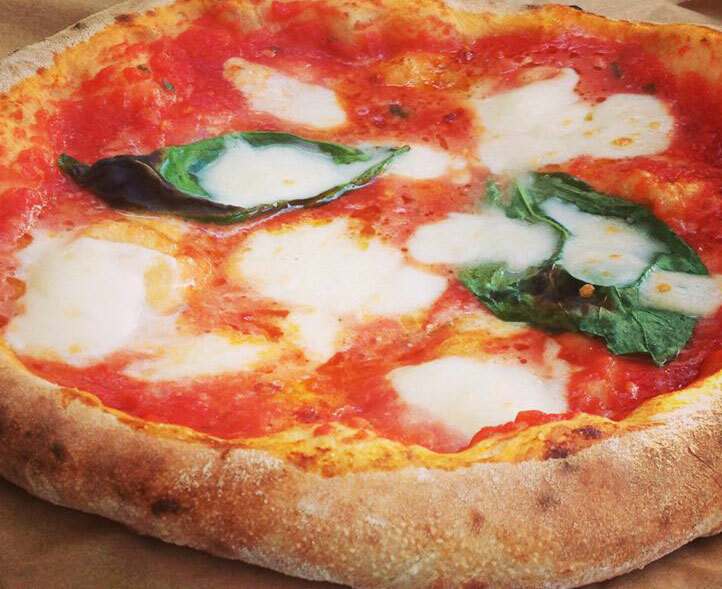 The good news is we have a glut of stonking street food pizza folk including Fire & Slice, who'll be flinging dough all over a glorious outdoor event this Saturday (May 2). Part of Digbeth venue Lab 11’s third birthday, Street Banquet sees Fire & Slice joined by chicken wings champions the Butchers Social, Caribbean foodies 63 Islands and South African stall Savanna Grill. Juniper geniuses Langley's No.8 have all your cocktail requirements covered and have devised a slurp - The Langley’s E11ven - specifically for the event. Wine lords Loki, meanwhile, will come armed with their best-selling white and red (plump for the Malbec) and a selection they have dubbed "weird and wonderful". There's music too, so we won't all be stood in complete silence, nothing to talk about. It’s long been one of the movies’ best-kept secrets that if you want a fresh look at a familiar world, get in a director with a different passport. Dane Thomas Vinterberg (The Hunt) may not be the obvious choice to adapt one of the less bleak Thomas Hardy novels, but his interest in 19th Century rural England, undimmed by growing up with endless Sunday night costume dramas, is palpable. This is no stately procession for the Downton Abbey fan club – the past here, for once, feels alive. Carey Mulligan’s spirited turn as Bathsheba Everdene helps, made suddenly desirable by her inheritance of land and torn between a farm labourer (Matthias Schoenaerts), a soldier (Tom Sturridge) and a wealthy farmer (Michael Sheen). This being Hardy, it doesn’t end well for most of the cast, but for once the passions of his novels – that can seem overbearing rendered literal on film – are made plausible by strong performances and judicious pruning from the text. On top of that Vinterberg’s eye for the idiosyncrasies of the period brings a freshness many leaden literary adaptations lack. Dorset looks gorgeous, n'all. "Buzzing neighbourhood eatery" might just be one of the most overused phrases in PR. But guess what? 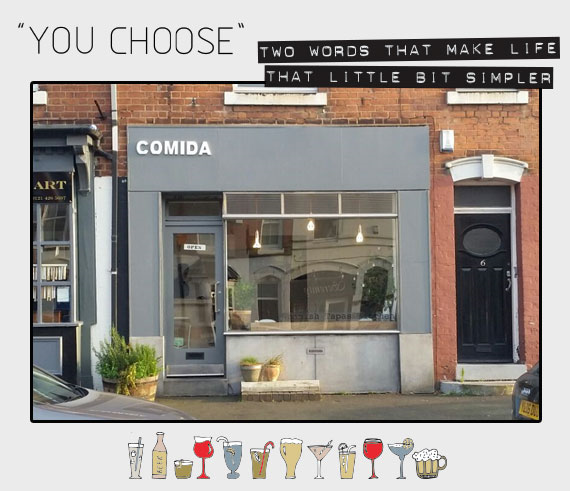 The Spanish flavours of Comida, located in a largely residential road off Harborne High Street, is the real deal. Expect elbow-to-elbow seating and tables crammed gloriously with whatever looked good that day, which, on our visit included caper-ladened squid, chorizo picante and devilishly crunchy twelve-hour cooked belly pork. As for the show-stopper, while we were convinced that the pork would be an untouchable, it was the slow-roasted apples with honey, wheat crumb and caramel ice-cream that we can only assume is, in large part, what heaven tastes like. The right amount creamy and with an adeptly judged sweet, silky smoothness to it, we considered asking for seconds, despite previously protesting that we were too full for dessert. Indicative menu here. BYO (and with plenty of ice buckets on hand) - huzzah! Fancy throwing yourself down an inflatable water slide the length of three football pitches? We suspected you might. 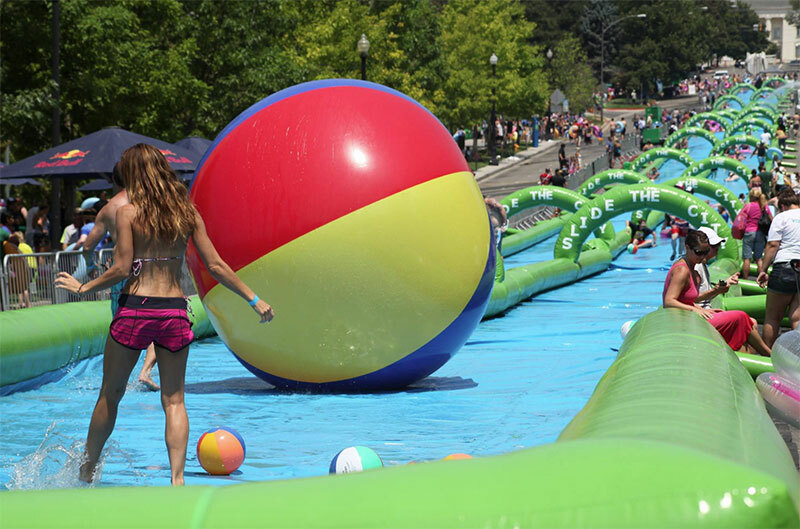 Complete with more than 300 metres of what we can only assume is some rather durable vinyl, Slide the City will be paying its first visit to the streets of Birmingham this summer and you can pre-register for the event (the date for which is yet to be confirmed) right here. Water guns, balloons and the inflatable you last bust out on that ill-advised post uni trip to Faliraki are actively encouraged at the site of the chute, where food, music and a lagoon's worth of water will also be found. A single ride will set you back £10, with an unlimited VIP slider pass rising to £35 and entitling you to rides both before and after general opening, which is from 12pm until 5pm. See you at the bottom. Electro swing, cabaret and plenty of glitter reaches the Custard Factory from 2pm on May 3 in the form of Swingamajig. Tickets are £25. Last year was silly good and looked a lot like this. Throughout May, Bitters 'n' Twisted is offering a free cocktail, following completion of its rather attractive trail. 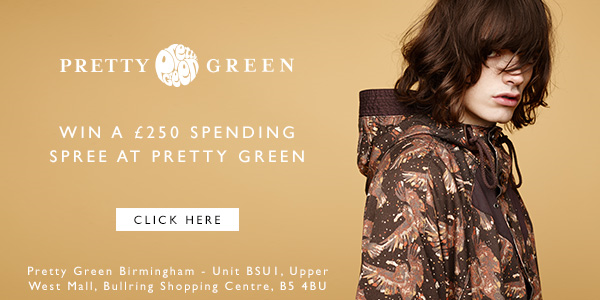 Buy a cocktail in three of its seven Brum venues and receive your reward in a fourth. 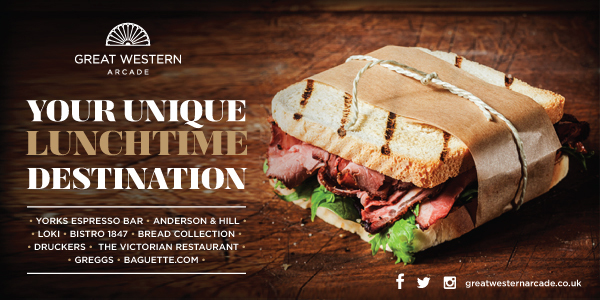 Peel & Stone is offering an extended bank holiday brunch service at the Church. Get anything from 'nduja and black pudding hash to ricotta fritters right up until 2pm, from Saturday until Monday. As part of its Fifteen Series, Leftfoot is putting on one helluva toe-tapping start to the weekend in the form of a night with the inimitable sounds of DJ, Mr Scruff, tomorrow (May 1). Tickets (£10) here.